Like many leftist organizations, the Southern Poverty Law Center, or SPLC, started out with good intentions. It was founded in 1971 by Morris Dees and Joseph Levin and is headquartered in Montgomery, Alabama. The Southern Poverty Law Center rightly condemned, as did conservatives such as the great William F. Buckley and Ronald Reagan, the American Nazi Party and the Democrat-affiliated Ku Klux Klan. A favorite SPLC tactic was suing Klan affiliated organizations for their crimes and then distributing the money to the victims. This strategy has been effective in financially hurting many Klan related organizations. SPLC, though always leftist in nature, bravely stood strong through attacks on its headquarters and threats against its leaders by Klansman. That is to be commended. 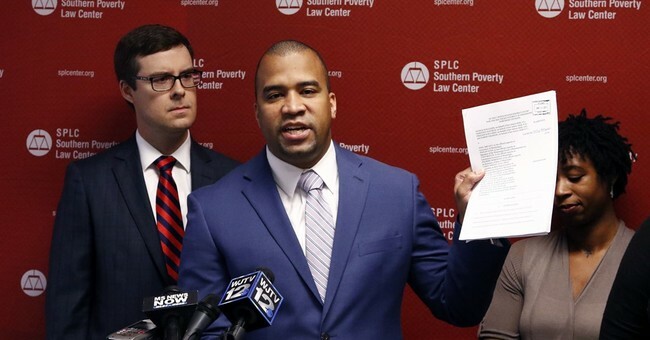 Sadly, the Southern Poverty Law Center has more than lost its way. The going astray from the original mission can be traced back to 1986, when most of the organization resigned, except founder Morris Dees, when Dees turned the focus of the group to strictly monitoring hate groups. The list of hate groups has kept getting longer and longer while our nation has become more tolerant of those who are different. In March 2013, the publication Foreign Policy ran an expose on the methodology of SPLC’s listing of hate groups, noting that SPLC counted many groups several times. The overall impression from SPLC’s list is designed to make Americans believe that America is a nation filled with racism, sexism, homophobia, anti-Semitism, and every other form of hatred that the conservative cause specifically disavows. SPLC’s senior leadership is shameful. It uses its past legacy of fighting against racism to add legitimacy to their evolving agenda of hatred towards the large number of Americans who hold conservative and religious values. In 2010, SPLC added the conservative Family Research Council to its list of hate groups. In early 2015, SPLC added Dr. Ben Carson to its list of hate groups. Ayaan Hirsi Ali, an atheist, feminist, and former Muslim who speaks out against female genital mutilation, was added to the SPLC hate list in recent years. Ali has many death threats on her life by Islamic radicals but SPLC labels her, and not those who have made the threats, on the hate watch list. The most recent SPLC controversy involves labeling the Alliance Defending Freedom, or ADF. Attorney General Jeff Sessions made a speech to ADF last week and was immediately vilified by the left wing media such as ABC for associating with an alleged hate group. How ridiculous. Alliance Defending Freedom was founded to "advocate for the rights of people to peacefully and freely speak, live and work according to their faith and conscience without threat of government punishment." ADF has won seven Supreme Court cases in the last seven years including the recent Trinity Lutheran v. Comer religious liberty case. ADF has also won over 400 victories regarding academic freedom in the university. SPLC’s senior leaders simply do not believe the organization can survive merely by targeting the wickedness of the KKK and neo-Nazi organizations. Instead the leadership believes it must label conservatives and Christians as hate groups. SPLC leaders simply cannot accept that the overwhelming majority of Americans reject racism, sexism, and hatred of other people. SPLC Leadership cannot accept that America is an even more loving nation than when SPLC was founded. In 2014 the FBI, under President Obama no less, said they would no longer use the SPLC criteria of hate groups as its own. There is a reason for that. The Southern Poverty Law Center has become a leftist mouthpiece and, guided by its progressive evolution, a hate group. The SPLC evolution is not surprising. As clear as the laws of physics, where leftism is found, hatred, bigotry, and intolerance will soon follow. They have no tolerance for those who argue for religious freedom to Christians and even Muslims who are opposed to female genital mutilation. Make no mistake, SPLC will continue labeling more and more conservative and Christian groups as hate groups. However, the real victim is not just conservative organizations. It is the those who need the services of a legal group to defend them because of real hatred. Because SPLC has cried wolf one too many times and it has diminished the definition of what a hate group is. They are too far gone now to turn back and will continue their slide into illegitimacy. They could, however, regain their legitimacy by listing a new group as a hate group. They could start by listing the Southern Poverty Law Center.